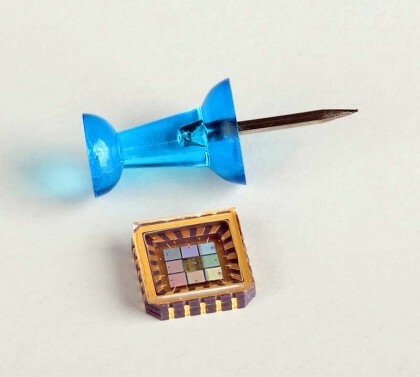 As point-of-care (POC) molecular diagnostics transforms medicine by bringing sophisticated diagnostic testing to the patient, the need for compact optical and detection technologies is increasing. Highly integrated multispectral sensors fill this niche well, reducing the complexity, footprint, and cost of OEM instrumentation significantly. In contrast to the full spectrum acquired by a spectrometer, a multispectral sensor collects data only at the wavelength bands of most interest to the application. 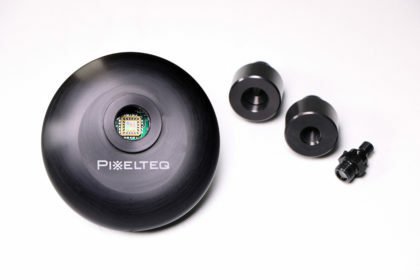 By integrating filtering and detection into monolithic elements in an array of up to 8 channels, the breakthrough PixelSensor™ multispectral sensor from PIXELTEQ is poised to offer even greater multispectral detection efficiency in a package the size of a fingernail. 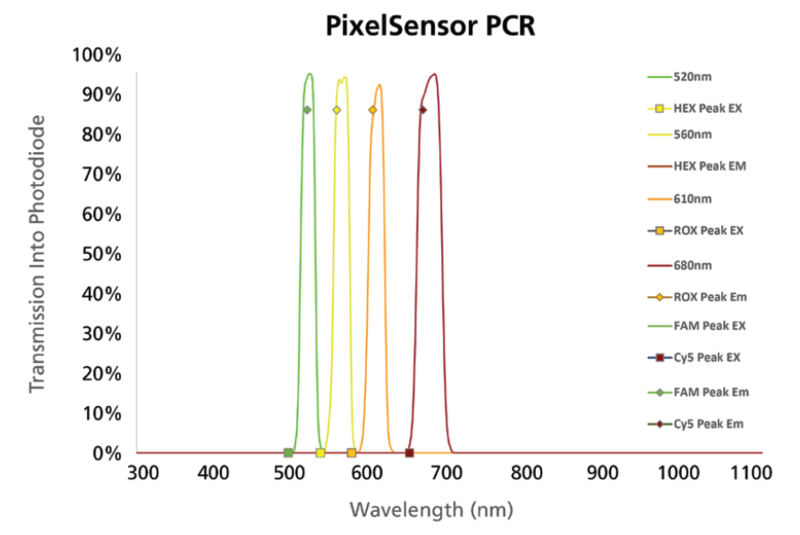 PIXELTEQ’s PCR Sensor is a ready-to-use compact sensor specifically tailored for detecting common fluorescence in PCR reactions. In this 9x9mm array we have packed the capability to detect 4 different fluorescence signals simultaneously in one optical path. PCR Sensor has 2 filtered photodiodes for each of the following bandpass filters: 520/20, 560/20, 610/20, and 680/20 nm. The photodiodes are mounted in a 9mm X 9mm LCC package. Contact us for more information on volume pricing, custom configurations, and purchasing the LCC mounted on an OEM board. The PCR Fluorescence Sensor includes the 4 channel Pixelsensor PCR (2 photodiodes of each wavelength) LCC package only. 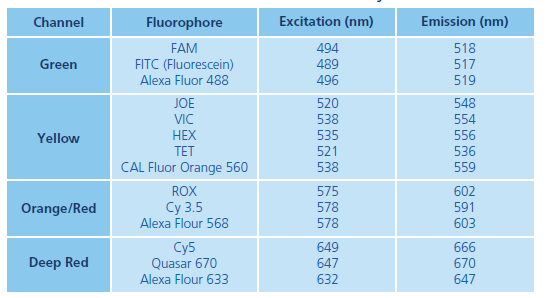 If you need a housing, light guides or software, please refer to the PCR Fluorescence Evaluation Kit.